Ahh it's good to be back in New Orleans, love this town! Again I'm benefiting from the fine generosity of George at RDS as I'm set up in his gated compound only about 15 minutes from the French Quarter. I arrived on Friday before the last weekend of Mardi Gras. The carnival season actually goes on for weeks before Mardi Gras, Fat Tuesday which is Tuesday coming. 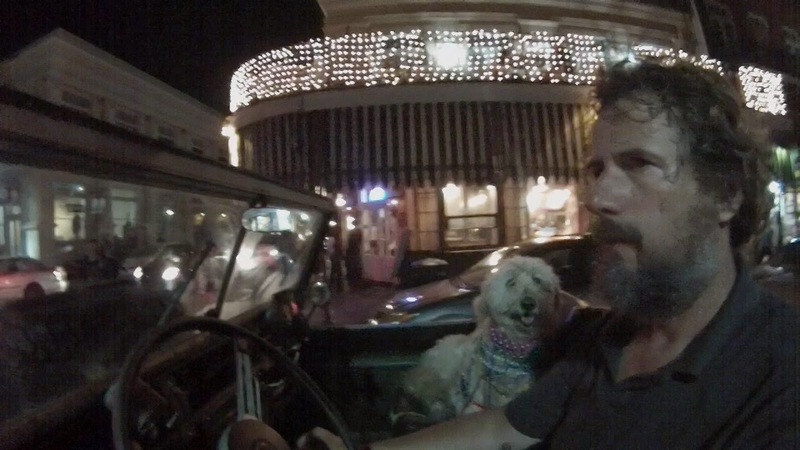 Pup and I went straight down to the French Quarter. Bourbon Street was a madhouse! And it's only Friday. Lots of street acts, lots of booze, and lots and lots of beads, along with the various antics to encourage those throwing the beads from the balconies above. I don't have the slightest interest in collecting beads but Geordie caused a bit of a sensation. There must have been a hundred people who had their picture taken with him, most giving him beads. Eventually I had to keep removing them as they built up. The next few evening were wilder and wilder. 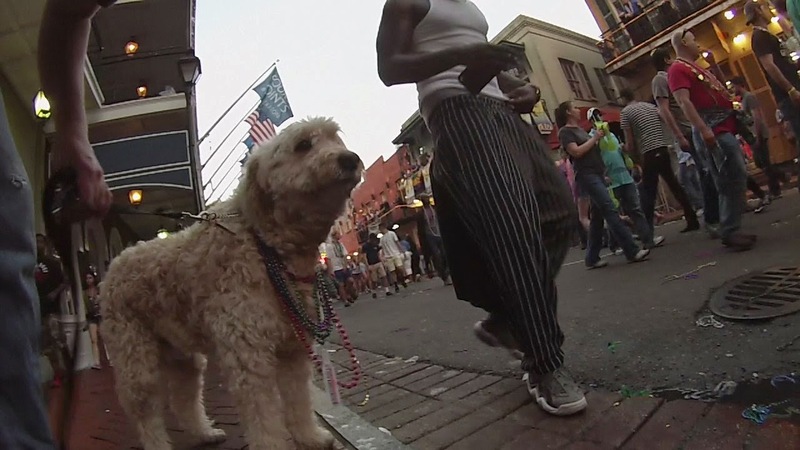 I spent much of my time on Frenchman Street, arguably the new Bourbon. Much better music and more locals to chat with. Geordie was equally admired there. The weekend was wonderfully warm so I took the roof off the Rover and touring around at night was wonderful. As it turned out, Mardi Gras itself was rainy. but by nine o'clock or so it cleared up and had that wonderful after the rain feeling. dozens. Different Krews in different parts of the city. I had waited until Tuesday to see the really big parades, but the rain was horrid and I opted out. 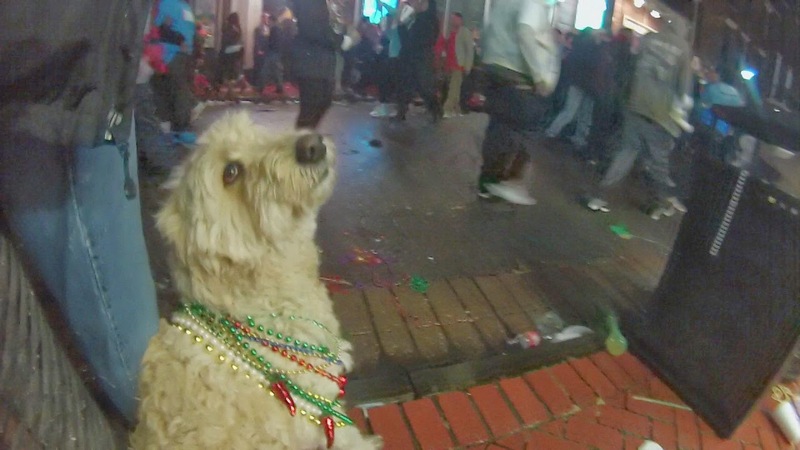 I can also add that even though pup is a wonderful companion, Mardi Gras is best enjoyed with company. And company I shall have. My daughters arrive tomorrow for a week! !